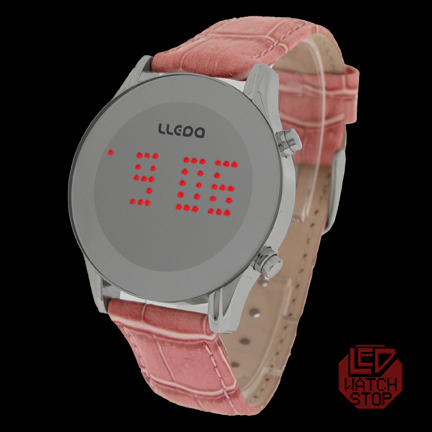 A simple yet elegant retro style LED watch with polarized glass lense and large easy to read dot matrix display. 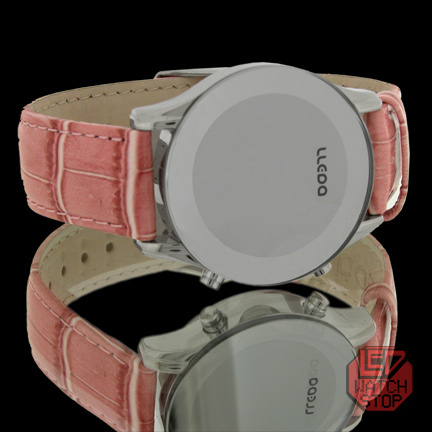 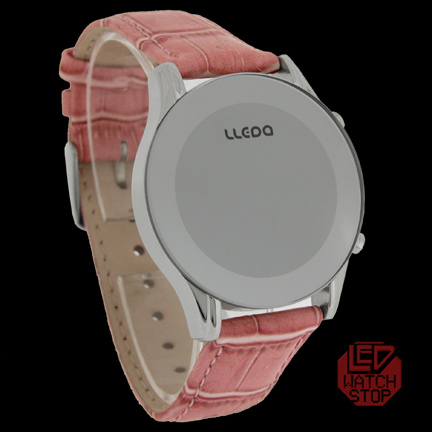 Featuring quality stainless steel construction and funky pink leather band with stamped crocodile pattern. 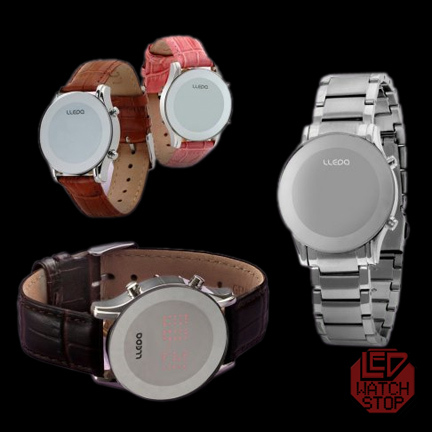 • Shop Warranty - 1 year.